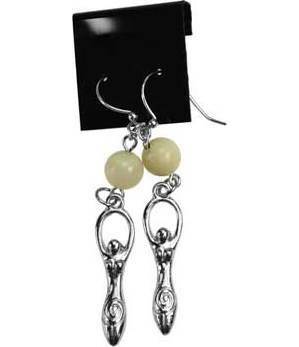 These earrings will allow you to focus your energy with a short meditation and the gentle swaying of the earrings. Hypo allergenic, surgical steel French hooks. Moonstone, Pewter. Beads are 1/4", Charms are 1 1/4" x 1/4", length is 2 1/2"